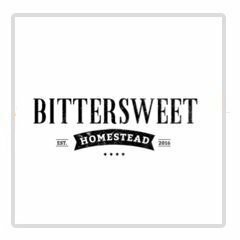 Bittersweet Homestead - Boston GreenFest - Aug. 16-18, 2019 - FREE! Tasty treats locally made in Massachusetts! Bittersweet Homestead was established August 2016 as a small family business offering fresh squeezed lemonade, homemade kettle corn, maple vanilla walnuts, homemade S’mores on a stick, krispy peanut butter balls and a Make Your Own Gourmet S’mores bar. We have primarily serviced the patrons at the local farmers markets and surrounding festivals but we were also privately hired to service a wedding and look forward to setting up at other private and corporate functions. So far it has been a fun and successful endeavor. Bittersweet Homestead is owned and managed by myself, Tracy Casavant. I have been involved in the restaurant/ service industry for 25+ years. I understand and enjoy the elements of the food service/hospitality industry as well as the importance of good customer service. My 11 year old son Tanner also has part share in the business selling his homemade dog treats, he calls them Tanners Tasty Dog Treats. We are Servsafe and allergen awaremess certified and Bittersweet Homestead is a licensed and insured legal entity in the state of Massachusetts. We pride ourselves on excellence and satisfaction. Click here to see their facebook page!